My long hair always ends up being quite a challenge to maintain and manage, especially when I don't have any hair treatment products that are suitable for my thick and heat-damaged hair. It wasn't until I was first introduced to the Kérastase Cristalliste Range a few weeks ago that my hair is now looking as healthy as ever! Today I will be reviewing the Kérastase Cristalliste Luminous Perfecting Masque and Cristal Sculpt Dual Gloss Serum. If your hair is lacking the moisture, shine and health it needs, then the Kérastase Cristalliste Range will come to the rescue! Kérastase Cristalliste Luminous Perfecting Masque (A$60/200ml) is a hair treatment mask that is ideal for use on dry and long hair to achieve lightweight, luminous and luscious locks. My hair is long and thick which requires a lot of attention and maintenance, so this hair mask is the perfect treatment to transform my hair to reveal full volume and healthy looking hair. The formula is enriched with three core ingredients: a Polymer derived from Glucose to facilitate blow-drying, a Dry Oil for intense nourishment and hydration, and both Candellia Cera and Ceramides to protect hair against external aggressors. To use this Luminous Perfecting Masque, apply a small dollop to towel-dried hair, massage the product through the lengths and ends, leave in for 5 minutes and then rinse out with lukewarm water. I always treat my hair with a hair mask once a week to ensure my hair stays healthy and luminous. The Luminous Perfecting Masque is a pearlescent opaque pink formula that is quite thick yet easy to massage into my hair. The scent is absolutely beautiful as it leaves my hair smelling like a fresh bouquet of flowers. While rinsing the product from my hair my hair felt incredibly silky and velvety smooth and I run my fingers through my hair under the shower head. My hair feels beautiful nourished and well hydrated. This is just what my hair needs! Kérastase Cristalliste Cristal Sculpt Dual Gloss Serum (A$45/30ml) is a luminous double gloss sculpting serum that helps to boost the shine and radiance in hair. The Dual Gloss Serum contains two liquid components that are very thin in consistency. Both components are dispensed simultaneously from the pump bottle before you can mix the two formulas in the palms of your hands and apply to your hair. The transparent serum is an an aqueous based formula that contains Alpha Hydroxy Acid to help smooth the structure of hair while the light pink coloured gloss helps to boost shine with the presence of 'liquid mirror' particles. I found it quite interesting that this serum exists in the form of two components where each component has it's own benefit and action to improve the structure and nature of hair. To use this Dual Gloss Serum, apply 1-2 pumps to your palm and mix thoroughly to obtain a homogeneous mixture. Apply to wet/dry or towel-dried hair and work the product through the mid-lengths and ends of your hair. I prefer using this Dual Gloss Serum after towel drying my hair as this is the point where my hair becomes quite unmanageable. The best way to apply is to start form the ends and work your way to the mid-lengths of hair. Running my fingers through my hair while applying the Dual Gloss Serum helps to break free tangled sections of hair. Leave the Dual Gloss Serum in your hair and do not rinse out. This Dual Gloss Serum can also be used with styling irons and before blow drying, so it is quite a versatile product that helps to lock in moisture and strength to your hair. The scent of this Dual Gloss Serum is quite fragrant and invokes a pleasant and crisp floral scent that leaves my hair smelling lovely and fresh like a bouquet of flowers! The consistency of the Dual Gloss Serum is very lightweight, so I've had to use at least two full pumps to thoroughly apply the product to my long and thick hair. The serum doesn't weight my hair down at all, which is a great plus as my hair normally feels unmanageable, messy and difficult to work with. I love how this serum can be used to prep and protect the hair before using heat styling tools or a dryer. My hair feels silky smooth, less coarse and less frizzy to the point where I feel like my hair is getting a good dose of nutrients to help strengthen and tame my hair. My hair feels a lot more manageable and easy to style as the formula does help to leave my hair tangle-free! The Kérastase Cristalliste range is available at selected hair salons nationwide. Do you incorporate a hair treatment mask and serum to maintain hair? Products were provided for consideration only. This review is 100% based on my own thoughts and opinions. 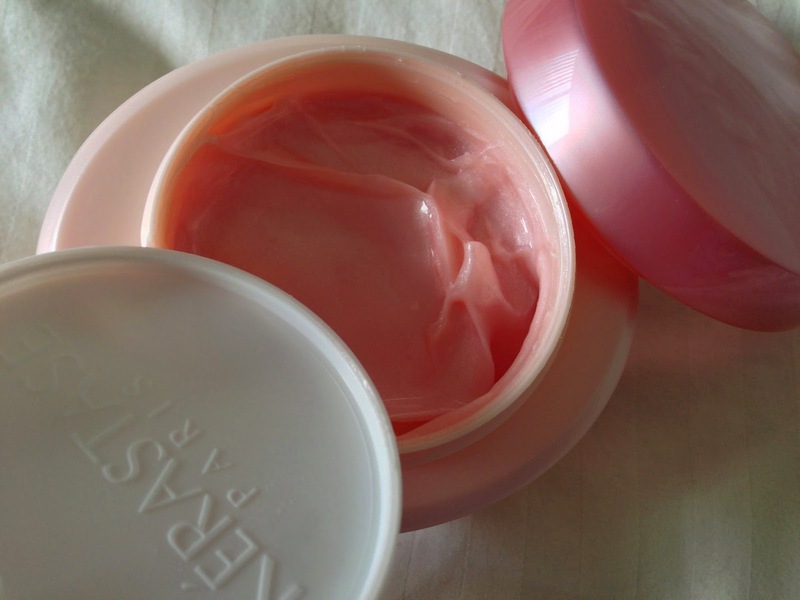 I am not affiliated with Kérastase Paris and did not receive remuneration to post this product review.